Bryan Teddick, HTH Automatic Sprinkler, LLC, Goshen, Connecticut, is the winner of this year’s competition. 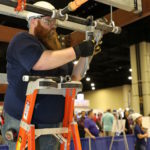 On October 2, 2018 hundreds packed into the buzzing exhibit hall at AFSA37: Convention, Exhibition & Apprentice Competition in Washington, DC, to witness seven finalists compete in the silver anniversary, 25th Annual National Apprentice Competition hosted by American Fire Sprinkler Association (AFSA). 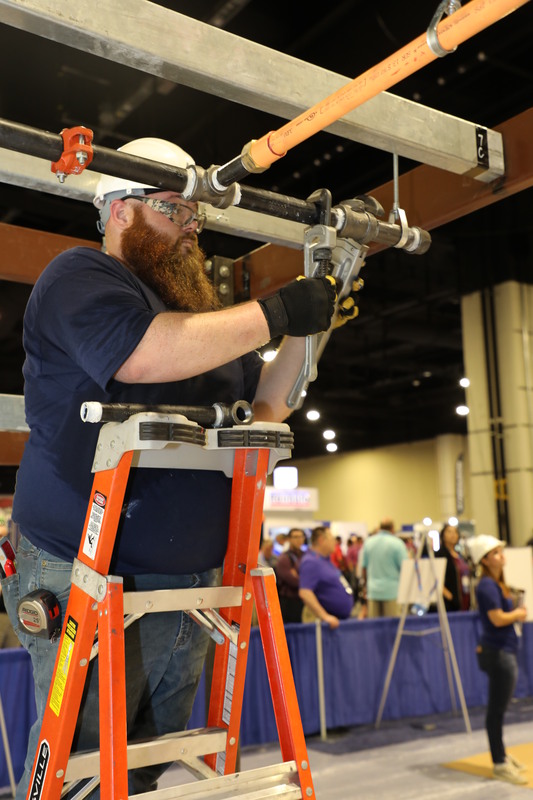 The convention and competition were truly a convergence of top industry apprenticeship talent, which drew an impressive crowd of nearly 1,400 industry professionals from all over the world. 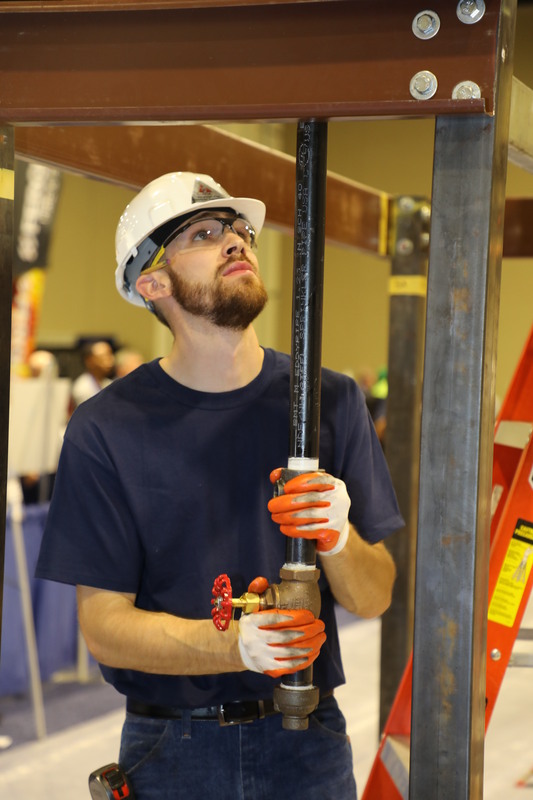 After outscoring over 100 other hopefuls to secure a position in the top seven apprentices of 2018, Bryan Teddick of HTH Automatic Sprinkler, LLC in Goshen, Connecticut, found himself at AFSA37 September 30 – October 3. Placing in the top seven was just the tip of the competition iceberg, though, as Teddick still had to outscore the six other well-qualified finalists to claim the first prize. When approaching the end of his time of technical high school at age 17, Teddick started with HTH Automatic Sprinkler. He heard about the position working his volunteer firefighting job with the Morris Volunteer Fire Department in Morris, Connecticut. 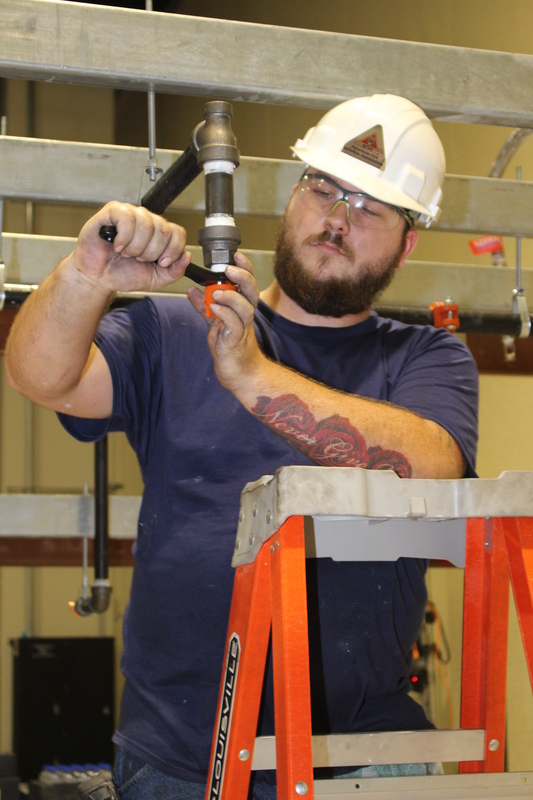 After one of his fellow firefighters encouraged him to apply his plumbing knowledge from technical school with HTH, the position quickly fell into place. 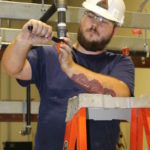 When Teddick completed the first round of testing and was informed he had scored in the top seven apprentices and would be traveling to Washington, DC to compete in one final round of written testing and the live apprentice competition, he hit the books again. However, this time he received some helpful study tips from a familiar source, his co-worker Joe Perry, winner of the 2012 National Apprentice Competition. Perry was happy to provide Teddick with insight regarding what to expect at the competition and some strategies for preparing. Additionally, Teddick was proud to credit his family for being “huge supporters,” even going so far as to help him study between the two tests, giving him advice, and walking him through anything he felt lingering nerves about. Quickly, AFSA37 and the live testing and competition arrived. Teddick recalls he was “pretty nervous about the competition itself and the test.” He didn’t let that deter him on his path to winning, though, and instead, he channeled his energy into finishing the written exam efficiently and to the best of his ability. For the practical portion of the competition, each finalist was given a drawing of the mini fire sprinkler system and all of the required materials to install it. Finalists then constructed the systems, comprised of five sprinklers onto a 9-ft tall metal frame structure. Competitors had to measure, cut, thread, and use fabricated materials for the installations per the drawing they were provided. This exercise required pipe threading, math, and pipe make-up skills to complete the mini-system in the four-hour time limit. The CPVC section of the system was joined using one-step solvent cement. After the entire system was installed and allowed to set, it was placed under a static water pressure test of approximately 80 psi, with points deducted for any leaks or pressure drop. 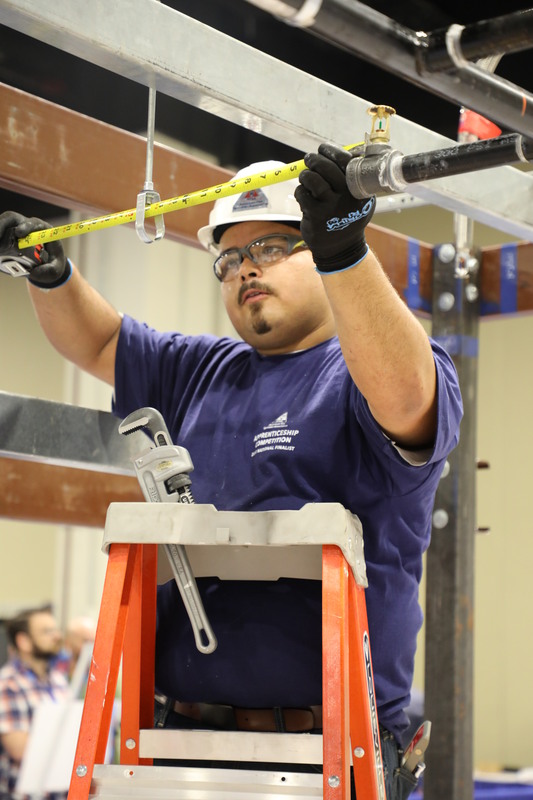 During the mini-installation, the apprentices were judged in three areas – accuracy, craftsmanship, and safety – to form their practical score, which was then combined with their written test score to determine the winner. The third-place winner is Tyler Patch. At the Newseum awards party, the hard work of the seven national apprentices was recognized. The night rounded out with the naming of its newest winner – Bryan Teddick. In addition to joining an elite group of past winners, Teddick received bragging rights for the next year as well as a $5,000 grand prize. 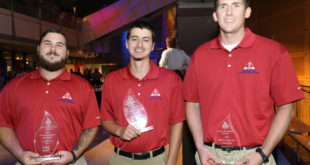 Dylan Bonde, Rapid Fire Protection, Rapid City, South Dakota, won second place and a $3,000 cash prize; and Tyler Patch, Piper Fire Protection, Inc., Clearwater, Florida, took third place and the $2,000 prize. Honorable mentions received $1,000 prizes: Fernando Arias, Jareth “J.D.” Hilliard, Federico Martinez, and Jason Swartz. All seven of the finalist apprentices won an expense-paid trip to Washington, DC to compete at AFSA37, a commemorative plaque, tools, cash prizes, and a complimentary convention registration for their employer to attend the convention to cheer them on! 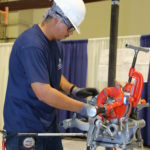 Started in 1994 by the late Robert L. (Bob) McCullough, then chairman of the Apprenticeship & Education Committee, AFSA’s Annual National Apprentice Competition was created to promote apprentice training and give recognition to the apprentices who are actively enrolled in the AFSA apprenticeship program. Nearly 25 years later, the competition continues to draw fire sprinkler apprentices from AFSA local chapters and member training programs from all corners of United States together in the association’s foremost showcase of excellence in training among future industry leaders. 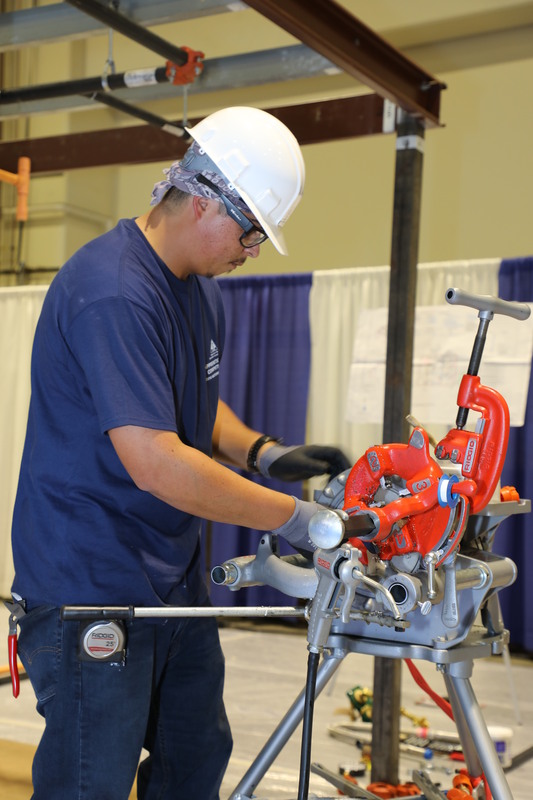 Enrolling in AFSA’s apprentice training program not only offers an excellent education and a fulfilling career, but it is also the gateway to competing in the AFSA National Apprentice Competition. 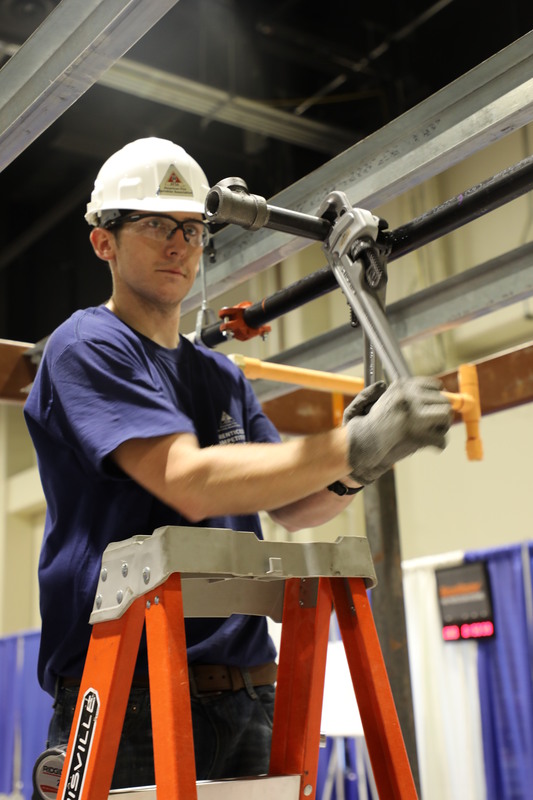 Entry forms for next year’s competition at AFSA38: Convention, Exhibition, & Apprentice Competition at the Manchester Grand Hyatt in San Diego, California, will be made available spring of 2019. 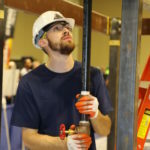 For more information or to view photos of the apprentices in action as well as other convention activities, visit firesprinkler.org/apprentice.